Woven Pear is a newer sock subscription on the market. The Woven Pear Sock Box is specifically designed as a sock of the month club featuring socks for women. Below are several promotions that Woven Pear has available. Although coupons and promo codes for Woven Pear socks are hard to find, the below promotions are available for a long-time, making them a solid option for your sock of the month club subscription! 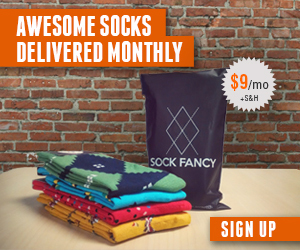 Save up to 56% with Sock Subscriptions! As described, this promotion from Woven Pear shows the economic benefits of subscription to the Woven Pear “Sockscription” rather than independently shopping for each pair. The Woven Pear sock subscription saves you money. Regardless of what you buy at Woven Pear, they offer free shipping on all orders shipped within the US. This is a great deal for Woven Pear socks, and if you are looking to buy women’s socks online, it is worth checking out this promotion from Woven Pear to save money on shipping! Click here to get started shopping deals at Woven Pear!